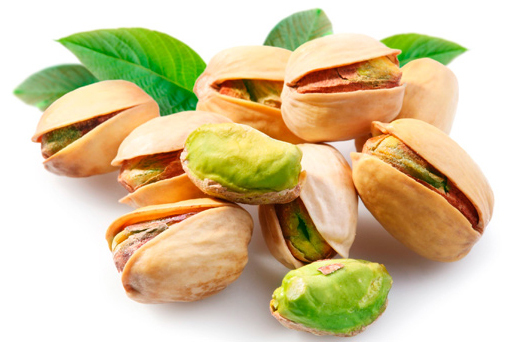 The Pistachio tree can grow up to 10 meters tall and is found in mountainous areas of southern Asia. At the end of the branches a large cluster of pistachio nuts grows. The nuts that grow on the pistachio tree pop open when they are ready to be harvested. They are known for having a very distinct taste which is what makes them so popular. It's not uncommon to find green or red pistachios in your local supermarket but this colouring is added nearly for looks as all pistachios grow with a light beige coloured shell.